I am in the mood for sunny images, are you? The theme for the coming days will be summer. 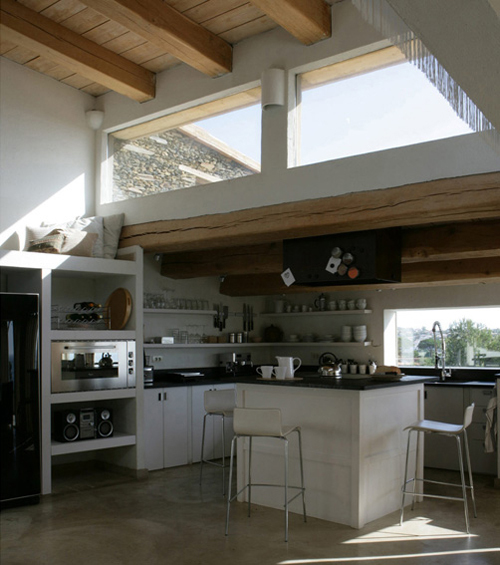 Today I start with this gorgeous summer house in Cadaqués, Spain. This fishing village is a two-and-a-half hour drive from Barcelona. It not only attracts tourists but also people who want a second home for weekends and summers. The images are shot by Jordi Canosa, a Spanish photographer who works for various interior magazines. What a view! The rotan furniture is from IKEA. Looks amazing, love the indoor outdoor interior feeling!! The veranda is my favorite part, and that view is like the cherry on top! beautiful home, love that window seat up on top of the cupboard. And that view from the patio!! wow, just stunning!! Even with just a little fishermen cottage I would have enjoyed such a panorama… thanks for these sunny trends, hope it will help sun coming!!! Amazing place!!!! wish i could be there!!! Good to have you back Danielle! Your posts brighten up my day! good to have you back, dear – glad you’re safe and sound! 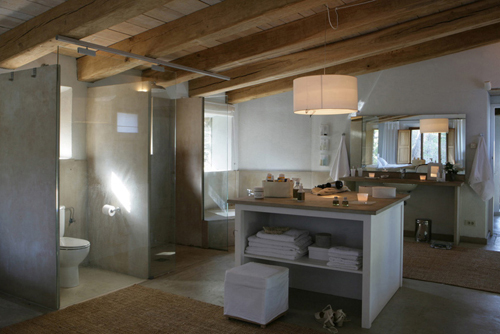 love the heavy wood beams and the concrete floor – so natural and organic. Yes, I’m around. Welcome back Danielle! it looks so inviting! love it. ummm. yes please, may I have another? Oh wow this shoot is amazing, I love the decor! Breathtaking ambiance!!! The work of Jordi Canosa and Daniela Cavestany leaves me speechless. Thanks for sharing! Cadaques is one of my favourite places. I could go there one time and another. Its amazing how properly placed ikea furniture can look so good! Fab house. Love the outside seating area. this is what my heaven looks like when i close my eyes. I have just started to get into fitness, I am following lots of advice from around the net and this really helps,thanks.